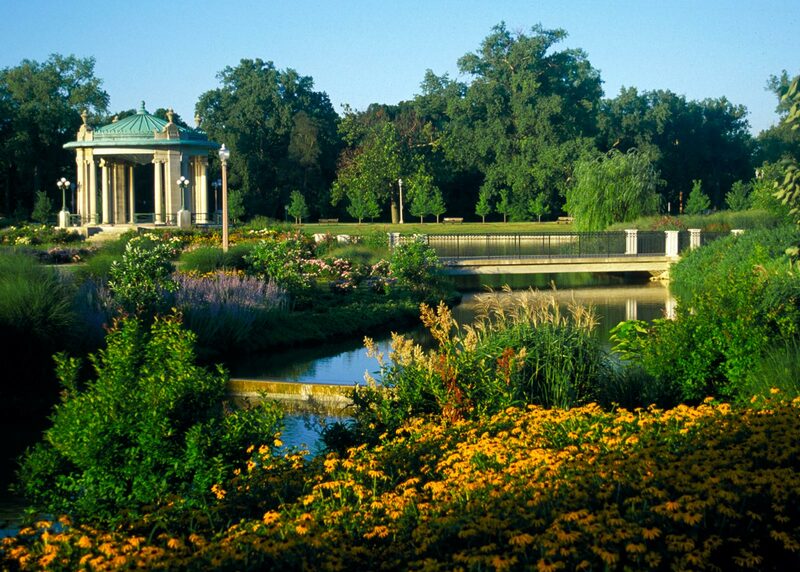 Now restored, Forest Park is again the crown jewel of the St Louis, Missouri park system. 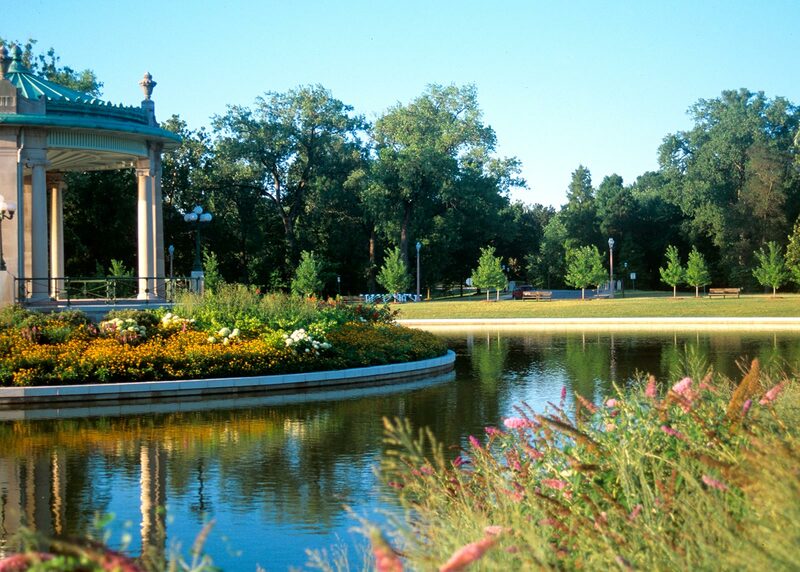 This 1,300-acre park, west of downtown, was originally established in 1876. To create a site for the 1904 World’s Fair, the park’s defining characteristic—the River de Peres—was buried and, over time, the remaining waterscape deteriorated into a disconnected series of stagnant pools. 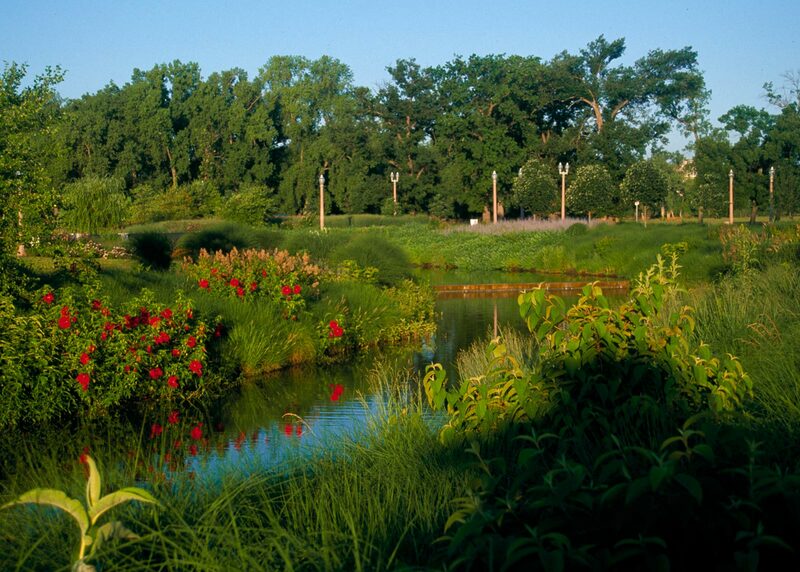 The new landscape plan reestablished a riverine landscape as Forest Park’s major visual, horticultural and recreational feature. OvS was tapped to restore the heart of the park—the impressive bandstand known as Pagoda Circle, and six adjacent acres of riverine landscape. 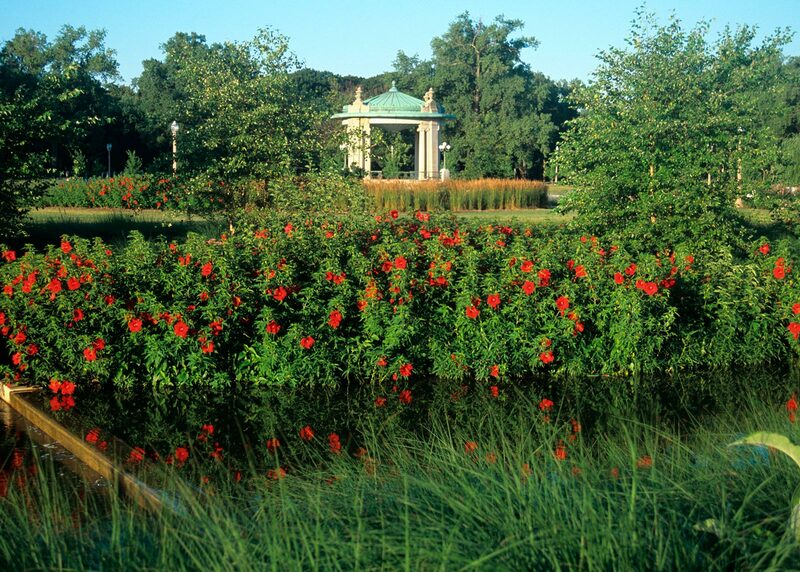 The design for Pagoda Circle preserved the original Beaux Arts aesthetic of the area and the historic character of the Nathan Frank Bandstand, and added sweeps of grasses and flowering perennials. OvS also helped restore the ecological integrity of the site by establishing a wet savanna with white oaks and expanses of wetland grasses that filter storm water runoff from adjacent roads and parking areas.